Well, today is the first day of my vacation. And I love to treat myself while on vacation, and I treat myself with fine wine. Here are some of the fine wines I will be treating myself to, both home and in the U.S.
And it doesn’t come any finer than the 2010 Cabernet Sauvignon from Burrowing Owl Vineyards in the Okanogan Valley in British Columbia. This is a gorgeous full-bodied wine with a beautiful dark plum color in the glass. Layers of delicious aromas on the nose and on the palate. Blackberries, black plums, chocolate, pastry cinnamon, sagebrush – all combine for a spectacular wine! This wine and grilled meats go together like Adam and Eve. I can’t wait to enjoy once again the Francis Ford Coppola Black Diamond Claret. Big and Bold in the glass with layers of blackberry and smoked espresso. It’s Cabernet Sauvignon based made in the French Bordeaux style. Very food friendly and delicious all by itself. This has been one of my favorite wines for a long time, and I can’t get it here in Nova Scotia. So I am looking forward to a glass when I get to the U.S.
Now I would never dream of going to the U.S. without having a bottle of Robert Mondavi wine. It would almost be sacrilegious. This has become one of my favorite new white wines. The Robert Mondavi Fume Blanc. 94% Sauvignon Blanc and 6% Semillion, the fresh tropical citrus blend goes perfect with salads and all by itself during those warm evenings in Florida. Here’s a new California blend I’ve recently discovered for under $20. Fresh and fruity, this has summer written all over. The packaging is so unique you are going to want to take this to someone’s place or bring it out at a gathering of friends, just for the conversation piece. A California red blend that just oozes chocolate, yep chocolate. Big dark spicy plums, not oaky, cherries and did I mention the chocolate. Voted one of the best new 20 wine brands, as the winemaker said ‘it’s dark as night, rich as sin and scary good’. I will fill you in on more wines when I return. When a person thinks of the fine wine countries, Canada may not be in the forefront for many people. For a while now I have been broadcasting the fantastic Pinot Noir’s made here – the grape loves our cool Canadian climate. Inniskillen makes a beauty for under $20. However, the past couple of weeks I have tried several Canadian wines and they have wowed me! And I don’t wow easily! On Thursday the Benjamin Bridge Vineyard in Gaspereau, Nova Scotia released the 2012 vintage of the Nova 7 with much anticipation. I had never tried this wine before and I don’t drink a lot of sparkling wines, but this one was fantastic. Beautiful salmon color in the glass, the 2012 vintage is made of 8 different grapes, mostly Muscat and all the grapes were grown here in Nova Scotia. In the mouth its lively and crisp with flavors of ruby-red grapefruit, lychee and a bit of a floral note. 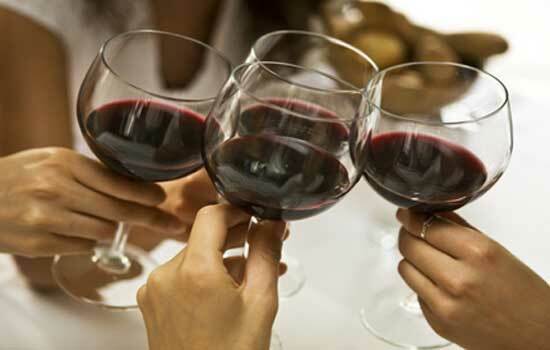 Spicy food, oily fish, turkey or all by itself – this wine will wow your friends. I regret only buying one bottle and may have to change that today. Apparently, some Canadian Merlot’s have won me over. Last week I wrote about the 2009 Burrowing Owl Merlot from the Okanagan Valley. A fantastic Merlot and beautiful vintage. The 2010 vintage got released earlier this week and I will be ordering a case of it. I have a case coming of the Cabernet Sauvignon from Burrowing Owl, and will be writing about that one next week. I had the pleasure this week of trying the 2009 Merlot from the Mission Hill vineyard, also in the Okanagan Valley. It only makes sense. Up until now, my favorite place that makes a Merlot has been the Washington State in the United States. And if you go a few miles north you are in British Columbia. This gorgeous Merlot with its aromas of plums, blackberries and a bit of Mocha. Aged in French oak for 15 months, can you say YUM! This smooth Merlot has hints of coffee on the palate, and is on my menu for tonight. This will make any barbecued food purr in your mouth – I’m having it with a creamy pasta. It’s that good. 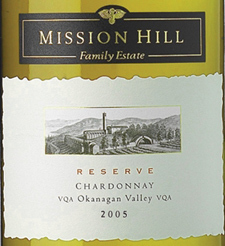 I also had the opportunity to try the Mission Hill Chardonnay. This was totally different from many Chardonnay’s and I loved it. It was smooth without the buttery creaminess of some Chardonnay’s. I had a hard time detecting the oak, so every white wine drinker will love this wine. Flavors of pineapple and apricot dance with crisp tropical notes. Not words I normally use to describe a Chardonnay and it did spend 7 months in both French and American oak. A gorgeous wine that is super food friendly. So, that’s it for this week. Go Canada Go. You are making some fantastic wines – keep up the good work. Yesterday I received my shipment of wine from Burrowing Owl Winery. This vineyard in the Okanogan Valley in British Columbia makes spectacular wine. I received a shipment of the 2009 Merlot and I have a case of their Cabernet Sauvignon on the way. Well, when I received my wine, I couldn’t wait to share it with my friends Rick and Sue. One of the comments I made was that the wine would be great with any grilled food on the BBQ, to which Rick said ‘especially one with a good rub!” The comments started flying about good rubs and the next thing we knew we were comparing good wine with good men. Most of the comments I can’t publish, but it did get me to thinking. This wine is spectacular, from start to finish. In the glass it is a dark plum color and on the nose layers of aromas. Plums, leather and tobacco on the nose and in the mouth this is a full-bodied Merlot. Flavors of red berry, tobacco and chocolate explode in the mouth. There was another flavor myself and Rick were picking up and we think it was Eucalyptus. I recently reviewed the wine and gave it a 95. This dark mysterious classy wine – makes me think of James Bond. This wine is 94% Sauvignon Blanc and 6% Semillion. Dry and crisp, I loved this wine. mouth-watering flavors lemon and lime, honeydew and lemongrass. This is a great wine and with Summer just around the corner, hopefully, this wine with its tropical flavors and citrus has Summer written all over it. Hmmm, trying to think of a man who makes my mouth water like this wine. Easy! 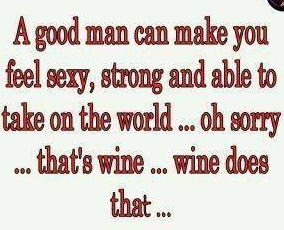 If you think of any wines that make you think of a fine man, let me know. I would love to write about it. We can have fun with this one. Now that the weather is getting nicer, do you find yourself coming out of your cocoon a bit more often and socializing with friends. With warmer weather comes deck parties, getaways and pot lucks. And a great opportunity to shine by bringing the wine. I recently had a group of friends over and this was the first wine we opened. A gorgeous 2007 Zinfandel from the Calistoga region in the Napa Valley. When I went to the Napa Valley a few years back Calistoga is where I stayed. It’s in the Northern part of the Valley and known for its Hot Springs, cool wine and warm welcomes. With its bright red fruits, pepper and chocolate tones, this Zinfandel was heavenly. The Chateau Montelena vineyard was established in 1882 and produces some first class wines that are all about balance. I can’t wait to have this one again. The next wine was a Wyndham Estate George Wyndham Founder’s Reserve Shiraz. At under $20 this is a wine I will be buying again and again. Gorgeous ruby color in the glass with some purple tones. Plums and blackberry with cedar, chocolate and spice all mixed in a beautiful Shiraz. If you love a full-bodied wine as I do, you will love this Shiraz with its oak nuances. The oak, however, is not over-powering. And finally I have to tell you about this awesome wine I found to compliment spicy food. This is the Tommasi Appassimento Adorato. The Appassimento is a process that dries the grapes before fermenting to concentrate sugars, acids and flavors. (not to be confused with a sweet wine). It is a combination of a Chardonnay grape and a Garganega grape. Clean and spicy highlighted by flavors of tropical fruit and honey. The first time I tried this wine, I had it with roast turkey. It was OK. Then I had it with spicy Mexican and Indian food. And Wow, they go hand in hand. It was a delicious combination. It’s light enough to drink on your patio this summer and a beautiful wine that you don’t have to pair with food, its delicious by itself. No oak, for all my friends that don’t like an oaky Chardonnay, this is your wine. Under $20 – you can afford to drink it all Summer.